Importance Poor communication by health care professionals contributes to physical and psychological suffering in patients living with serious illness. Patients may not fully understand their illness, prognosis, and treatment options or may not receive medical care consistent with their goals. Despite considerable research exploring the role of communication in this setting, many questions remain, and a clear agenda for communication research is lacking. Observations Through a consensus conference and subsequent activities, we reviewed the state of the science, identified key evidence gaps in understanding the impact of communication on patient outcomes, and created an agenda for future research. We considered 7 broad topics: shared decision making, advance care planning, communication training, measuring communication, communication about prognosis, emotion and serious illness communication, and cultural issues. 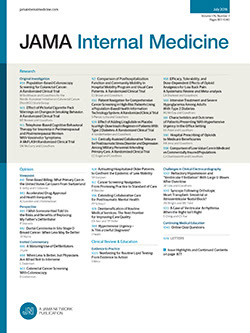 We identified 5 areas in which further research could substantially move the field forward and help enhance patient care: measurement and methodology, including how to determine communication quality; mechanisms of communication, such as identifying the specific clinician behaviors that patients experience as both honest and compassionate, or the role of bias in the clinical encounter; alternative approaches to advance care planning that focus on the quality of serious illness communication and not simply completion of forms; teaching and disseminating communication skills; and approaches, such as economic incentives and other clinician motivators, to change communication behavior. Conclusions Our findings highlight the urgent need to improve quality of communication between health care professionals and patients living with serious illness through a broad range of research that covers communication skills, tools, patient education, and models of care.